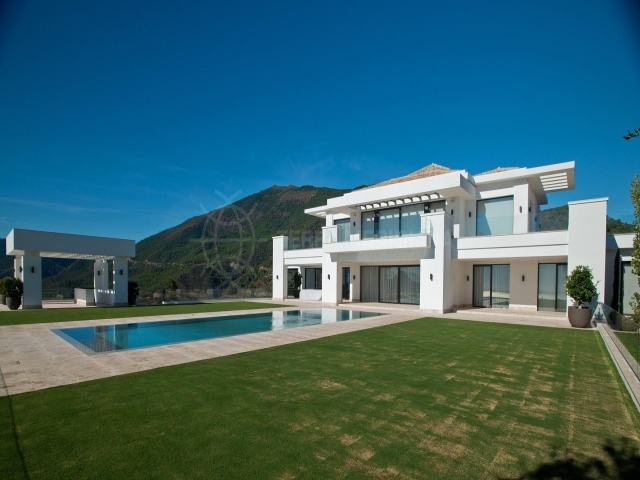 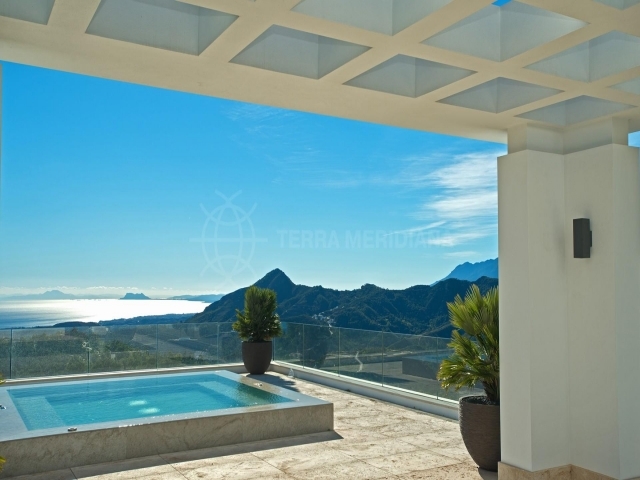 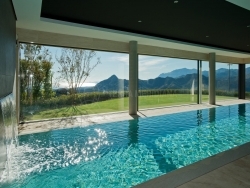 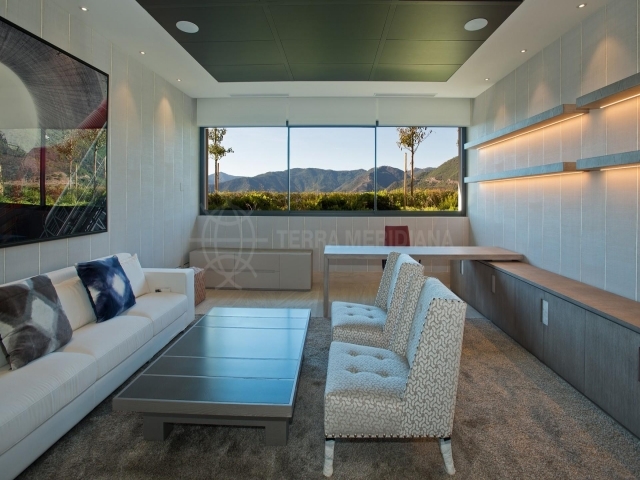 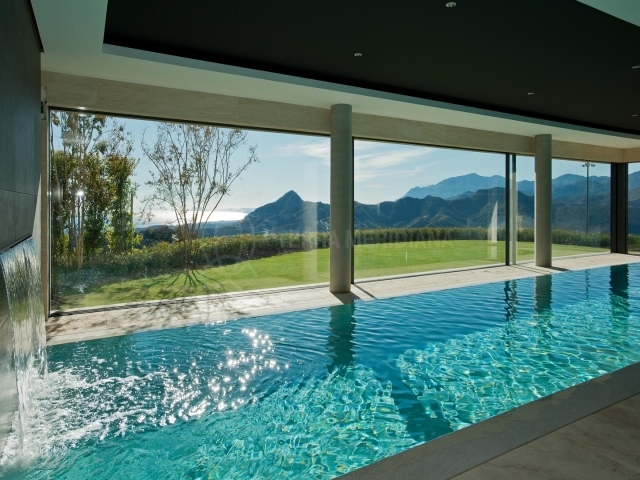 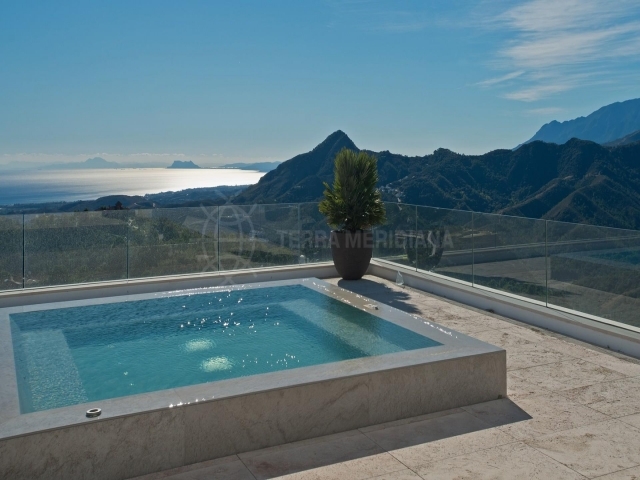 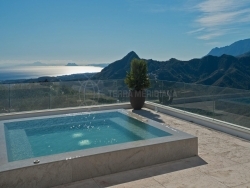 This truly breathtaking modern, newly-built villa in La Zagaleta, one of the most exclusive residential communities in Europe, and boasts uninterrupted, panoramic views of the countryside, mountains, and Mediterranean. 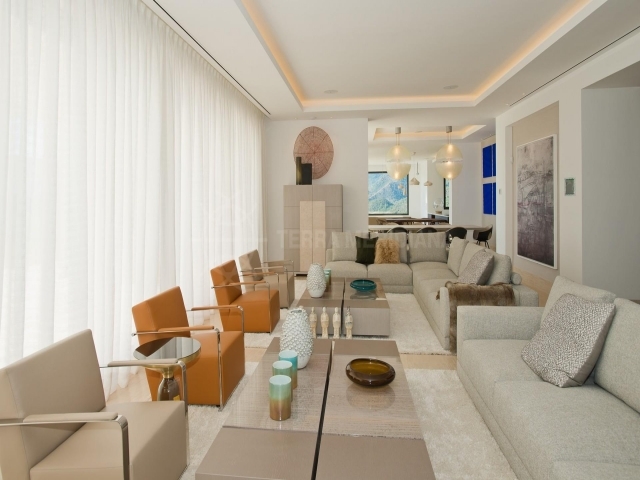 The property offers well over 2,000m2 of living spaces on three levels, including an entire 'entertainment' floor on the sub-garden level.The accommodation includes, on the entry level, double-height hallway with lift; leading to an expansive living room, with full-width glass doors to the terrace; a dining room; a second sitting room; a 55m2 kitchen, with its own dining area; and two guest bedrooms, both with en-suite bathrooms. 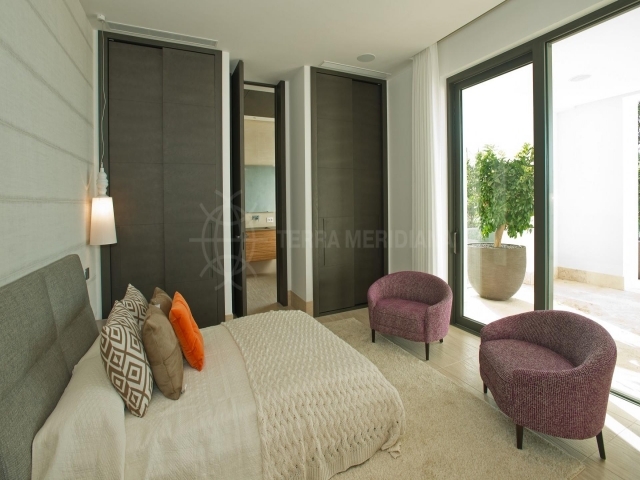 The upper level houses the master suite – with sitting area, dressing room, bathroom, and semi-covered terrace – as well as two en-suite bedrooms, both with dressing areas and access to the terrace. 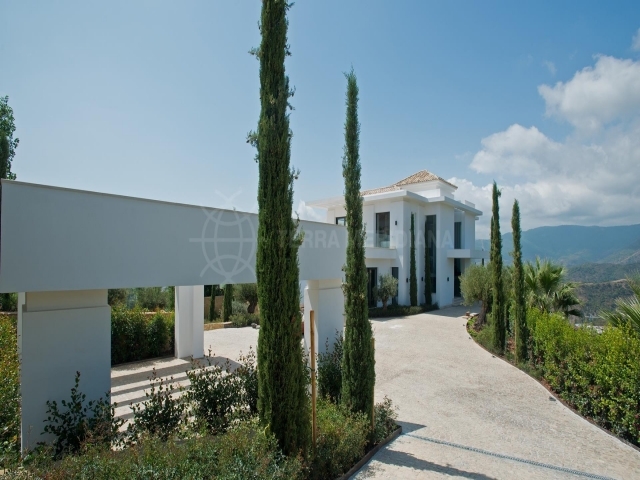 Residents of La Zagaleta enjoy access to two members-only golf courses, equestrian centre, club house, and heliport, all located on a 2,200-acre former hunting estate, less than 15 minutes’ drive from Marbella and Puerto Banús. 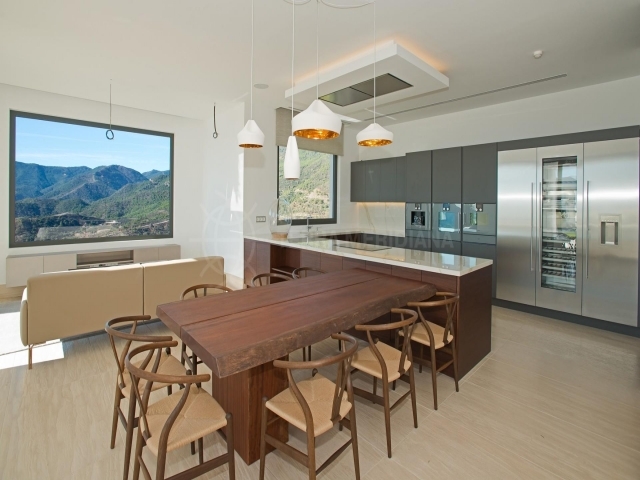 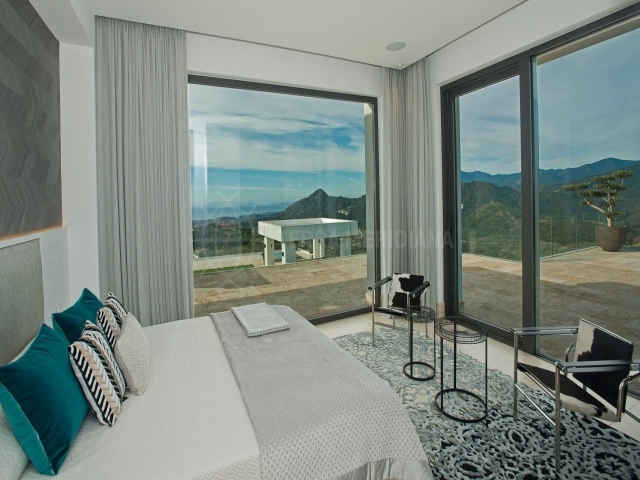 The property is offered fully furnished with bespoke made to measure contemporary furniture.